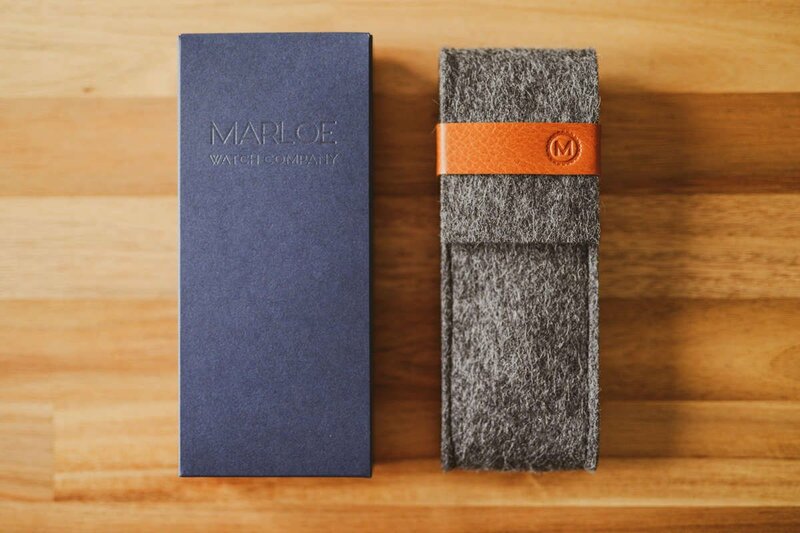 Our gently worked, hand-stitched Travel Case case is made from soft Italian leather and British woolen felt. 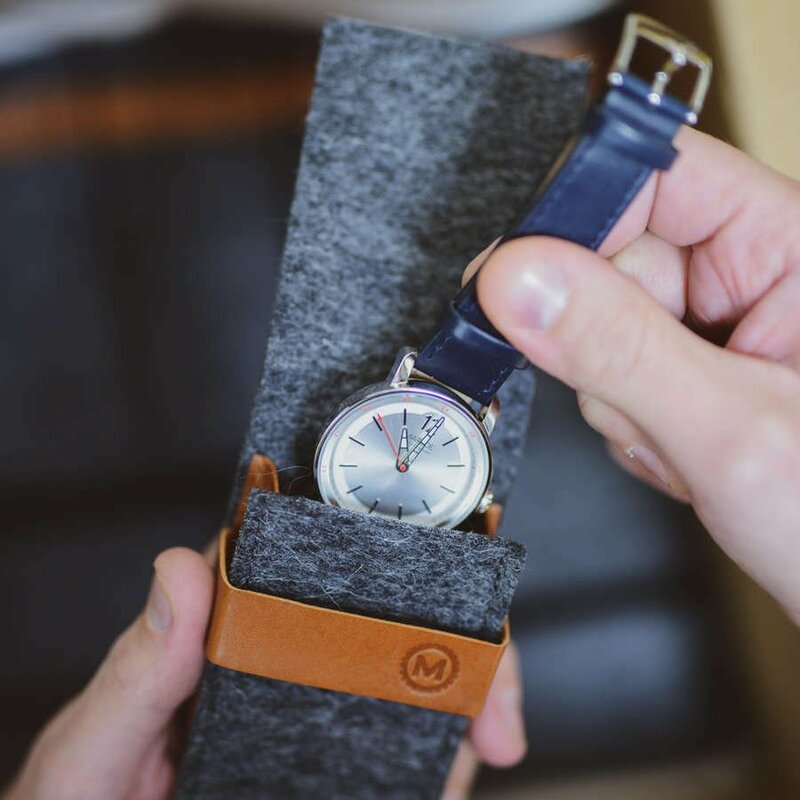 Hand-stamped with our logo and icon, the Travel Case will gently cradle your Marloe watch and protect it from bumps and scratches whether in your suitcase or on your sideboard. The vegetable-tanned saddle leather has a natural and organic look, whilst offering high durability and strength. Vegetable tanning is an old-world, artisanal process, and thanks to this the Travel Cases have a unique and genuine aesthetic. 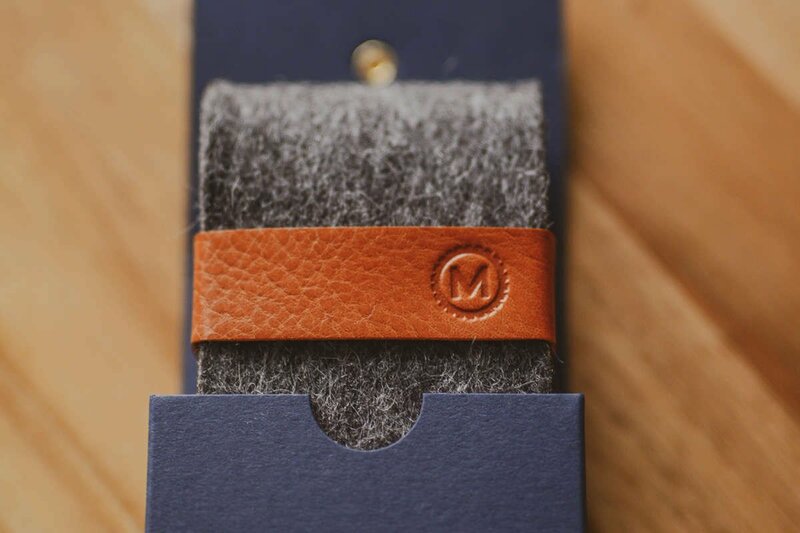 The leather hides come from an Italian tannery and are veg-tanned to achieve the dark camel colour - we source our beautiful dark wool from a British partner and we bring them together in this hand-made, hand stamped Travel Case. 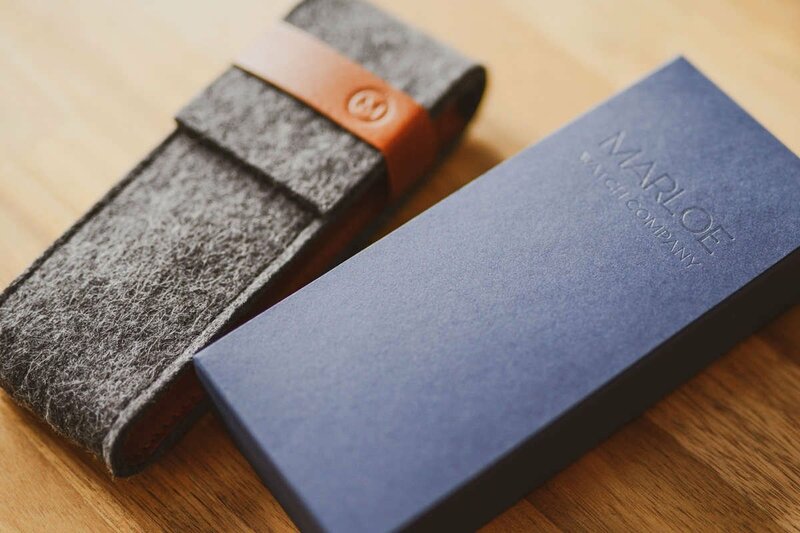 Here at MWC we're great advocates for natural materials, and leather and felt are a couple of our favourites - so we thought we'd use both in our new Travel Cases. 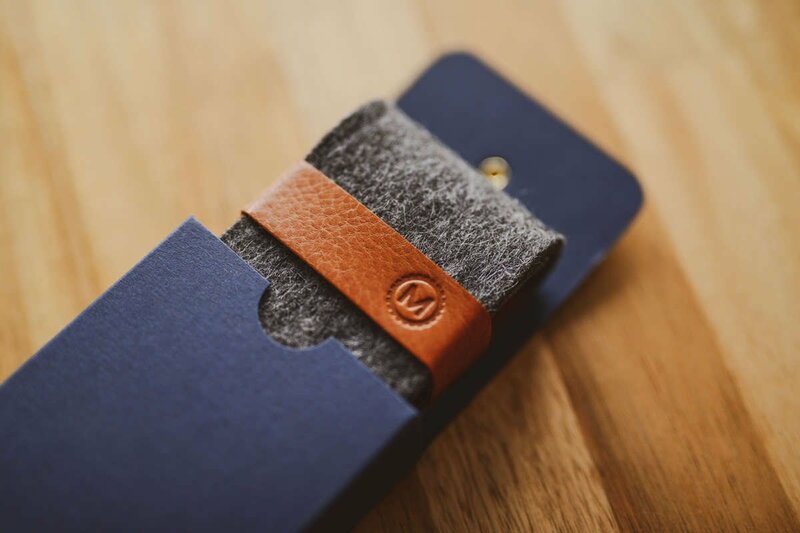 The Travel Case comes encased in a custom Imperial Blue box featuring a clear foil MWC logo, string-and-button style closure with white wax cord with brass eyelets.